BBC Sport - Football - The World Cup in their hands: Who are the Fifa 22? The World Cup in their hands: Who are the Fifa 22? They come from across the globe. From Chesterfield to Cameroon - the men with the future of the World Cup in their hands. Their average age is 63. 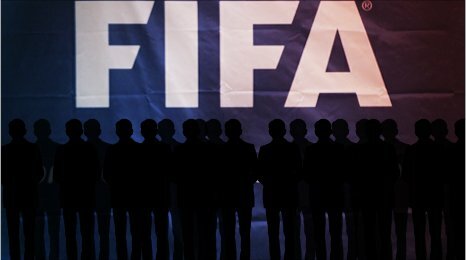 Two are suspended so the spotlight is now on the remaining 22 men who make up the executive committee of the Fédération Internationale de Football Association, or Fifa, for short. On Thursday, the group will select which nations host the 2018 and 2022 World Cup finals. One president, seven vice presidents and 14 members, appointed by international confederations and associations, have the World Cup in their hands. But who are these powerful figures? Here, we profile the executive committee members of world football's governing body. Former footballer, who played in top division of the Swiss amateur league. Went on to work in journalism and PR for the likes of the Swiss Ice Hockey Federaton and timekeeper Longines. A lawyer, he joined Fifa in 1975 and was elected as the organisation's eighth president in June 1998. He has more than 90,000 followers on the social networking site Twitter and the crucial casting vote in the event of a final ballot tie. Founder of Arsenal Futbol Club, not to be confused with the English Premier League side of the same name, who play in the top tier of Argentine football. President of his country's football association, he lists his hobbies as sports management. His all-time favourite player is Diego Maradona, but that did not stop him dropping Argentina's golden boy as national coach after an early exit from the 2010 World Cup in South Africa. Grondona was understood to have wanted the English Football Association to face charges after former chairman Lord Triesman made bribery allegations in May about rival countries' attempts to secure the 2018 tournament. Hayatou was released from hospital after being taken ill at a conference in Cairo in October. He has been the president of the Confederation of African Football (Caf) for 23 years and was a member of the organising committee for the 2010 World Cup. The former PE teacher lost out to Blatter when he put himself forward for the Fifa top job in 2002. Hayatou caused controversy when Caf banned Togo from the next two Africa Cup of Nations after they withdrew from this year's tournament following an attack on their team bus which killed two officials. The ban was later lifted. He is one of three executive committee members who were featured in the BBC Panorama programme which examined claims of bribery in the 1990s. A Korean MP, he is president of his national football association and speaks English, German, Japanese and Chinese as well as his mother tongue. His father founded the Hyundai business, which is one of the world's biggest car manufacturers, and he is a major shareholder in the shipbuilding division. He says he enjoys skiing and mountain hiking plus 'drinking with friends'. The vote-selling allegations surfaced on the day, coincidentally, he was celebrating his 59th birthday. Colourful character who made headlines in a club against country war of words with then-Sunderland manager Roy Keane over Trinidad and Tobago midfielder Dwight Yorke in 2008. A real estate developer, who spent 24 years as a history lecturer, Warner has been president of Concacaf - which covers north and central American plus Caribbean football - since 1990. He has been critical of England's bid in the past, although was delighted to welcome former captain David Beckham to the 2010 Under-17 Women's World Cup final in Trinidad and Tobago in September. Seen as crucial to England's chances, he has rubbished claims by the BBC's Panorama programme that he procured World Cup tickets destined for the black market. A leading figure in the joint Spanish-Portuguese bid to stage the 2018 World Cup, Villar Llona is president of Spain's football federation. The former Spain and Athletic Bilbao midfielder worked as a lawyer after he hung up his boots. As president of Fifa's referees committee, he also defended English referee Graham Poll when he blundered by booking Croatia's Josip Simunic three times during a group match against Australia during the 2006 World Cup in Germany. "Graham Poll is an exceptional referee and a great sportsman, who will be able to overcome the situation thanks to his strong personality and love of the game," Villar Llona said. Uefa president and a gifted former player who won the European Championship with France in 1984. Famed as a free-kick specialist and for his passing ability, Platini scored 41 goals in 71 international matches. He coached the France national team between 1988 and 1992, was the co-organiser of the 1998 World Cup in his homeland and is a potential successor to Blatter. Platini collapsed in a restaurant during the 2010 World Cup in South Africa. It was later reported he had fainted, having been suffering from flu. Chairman of the Football Association from 1999 until 2008, Thompson was once general manager of Doncaster Rovers. He was part of the five-strong team which delivered England's World Cup bid book to Fifa in May. Shortly afterwards, the magistrate replaced Lord Triesman as bid chairman when his predecessor quit following allegations he had accused rivals Russia and Spain of bribery. Effective behind the scenes, Thompson signed a letter to fellow executive committee members to stress England's bid had nothing to do with British media reports on corruption claims. D'Hooghe is a doctor who specialises in sports medicine and rehabilitation. Chairman of Fifa's medical committee. The president of Belgian side FC Bruges also speaks English, Spanish, French and German. In early October 2010, he told BBC Sport he was concerned by the number of serious footballing injuries caused by dangerous tackles. "I have two eyes, where I can see what happens - how some acts are really criminal," he said. Boss of the Brazilian Football Confederation, Teixeira will have completed more than 25 years in charge when his country hosts the 2014 World Cup in Rio. Married Lucia, a daughter of former Fifa president Joao Havelange, but the couple divorced in 1997 after nearly 30 years of marriage. Teixeirahas been on the executive committee of Fifa for 16 years. One of three executive committee members who were featured in the BBC Panorama programme which examined claims of bribery in the 1990s. Asian Football Confederation chief is seen as a potential future Fifa leader but insists he will not challenge Sepp Blatter in the 2011 presidential elections. The wealthy businessman has overseen the creation of the Asian Champions League and the introduction of Australia into the confederation. After changing his mind, he was a supporter of the Premier League's plan for a 39th game, possibly being staged in Asia. A leading backer of the bid to stage the 2022 World Cup in Qatar, the English speaker lists his hobbies as football, reading and poetry. Credited as a leading architect in the improved fortunes of Turkish football at the turn of the century, when Galatasaray won the 2000 Uefa Cup and the national side were third at the World Cup in 2002. The Turkish FA president and Uefa vice-president is a fan of classical music. A former Unicef marketing director and boss of a big pharmaceuticals firm, he has been on Fifa's executive committee for 14 years. Fluent in English, French and German, he supported Turkish side Fenerbahce as a child. General secretary of Concacaf, the governing body of football in north and central America, and the Caribbean. Takes the business of choosing a World Cup host nation seriously. Has conducted his own visits, in addition to official Fifa inspections, to European candidates. The burly, bearded New Yorker is a former American Soccer League commissioner. Blazer has about 500 followers on the social networking site Twitter where he is holding a large beer in his profile picture. President of the Thailand FA, Makudi was criticised in late 2009 when the national team failed to reach the semi-finals of the South East Asia Games for the first time in 26 years. He has been a key figure in appointing Englishmen as coaches of the Thai side in recent years and helped pave the way for the team to host Leicester City - under new boss Sven-Goran Eriksson - in an exhibition match on 9 October which the Foxes won 2-0. Peter Reid, now the Plymouth boss, was in charge of Thailand for a year until September 2009 before former England and Manchester United captain Bryan Robson took over. England have agreed to travel to Thailand in June 2011 for a friendly match which will be the first meeting between the two countries at international level. President of Conmebol, the South American Football Confederation, for more than 20 years. A former sports journalist, lawyer and part-time history professor. When asked to name his most memorable or important match, he plumped for Argentina's 2-1 win over England in 1986 World Cup. The match was famous for Maradona's controversial 'Hand of God' goal. Considered one of the most powerful men in Asian football, Ogura is vice-president of the national FA and a former general secretary. An English speaker who enjoys cooking, he has promoted Japan's bid for the 2022 World Cup as the hi-tech option, with 3D TV at fan festivals and enhanced use of high-definition cameras at matches. Supported West Ham United as a child and says England and Manchester United striker Sir Bobby Charlton was his idol. Honorary president of Cyprus FA, the self-styled entrepreneur is a board member of fuel firm Petrolina. Lefkaritis has also served on the executive committee for Uefa, European football's governing body. But he is a relative newcomer, with three years' experience as a Fifa member. According to Fifa's official website his biggest disappointment in football is: "Every time the media and/or the politicians attack football, disregarding the social contribution of our sport to society." Anouma replaced Ousseynou Dieng as chairman of the Ivory Coast Football Federation following the team's poor performance at the 2002 African Cup of Nations in Mali. He helped oversee the investigations after 19 fans died when a wall collapsed as Ivory Coast beat Malawi 5-0 in a World Cup qualifier in March 2009. A member of the Fifa executive committee since 2007. The only player to captain (1974) and manage (1990) a team to World Cup victory - both times with the former West Germany. Nicknamed 'Der Kaiser' (Emperor) as a player for his composed, stylish play in the sweeper role. Capped more than 100 times by his country, Beckenbauer also won three consecutive European Cups with Bayern Munich in the 1970s. He led Germany's successful bid to host the 2006 World Cup and chaired the organising committee, but plans to quit his Fifa role in May 2011 to spend more time with his children. Played for various clubs in Guatemala. Former chairman of Guatemalan FA, he founded the Clasicos 16 club. A solicitor, he welcomed England 2018 ambassador David Ginola, and other bid supporters, to Guatemala for a visit in February. They staged a special coaching session for pupils at a school supported by the English charity 'Education for the Children'. Member of the World Cup organising committee. Spent a period as treasurer of the Egyptian Football Association. Is believed to have encouraged England to play a pre-World Cup match against Egypt and the visitors nearly pulled off a shock at Wembley in March, taking an early lead before going down to three second-half goals. Former President of Russian Football Union and Zenit Petersburg. He was also once deputy mayor of the city. Played a key role in helping Russia bring in Dutchman Guus Hiddink as coach in 2006. Member of the supervisory board for the 2014 Winter Olympics in Sochi and a leading figure in Russia's bid to host the World Cup four years later. Two members of the 24-strong executive committee will not be able to vote after being given bans over claims they asked for money in exchange for World Cup votes. One of the two Fifa officials at the centre of vote-selling allegations by the Sunday Times. A native of Tahiti, he broke new territory in 2004 by becoming the first Pacific Islander to be president of the Oceania Football Confederation. The organisation, based in New Zealand, covers nations including Papua New Guinea, Tonga and Fiji. A former professional footballer for FC Nantes. As a child he supported another French club, St Etienne, and Liverpool. President of the West African Football Union, Adamu is one of two Fifa members at the centre of vote-selling allegations. A former teacher, who played and coached volleyball, he was executive director of the 2003 All Africa Games. Outspoken on Nigerian football issues, he labelled his country's football federation 'absurd' in May 2010 for replacing Shaibu Amodu with Swede Lars Lagerback as national coach for the World Cup. When the team were knocked out in the group stage, a row erupted over federation elections which saw Fifa suspend Nigeria from international competition because of government interference.